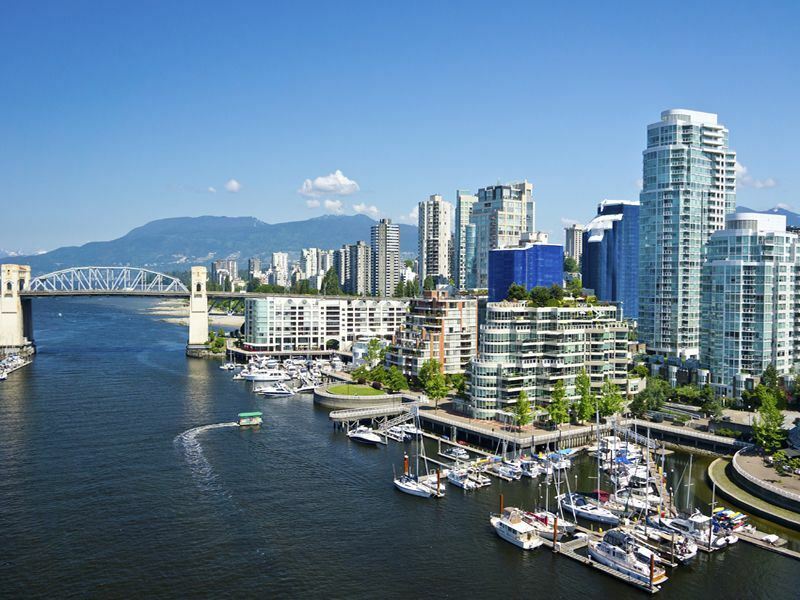 British Columbia, Canada’s westernmost province, is home to everything from exciting cities like Vancouver to charming mountain towns and picturesque coastal spots. A nature lovers’ paradise, outdoor adventure abounds, including hiking, mountain biking, kayaking and whale watching. There are plenty of less active pursuits as well, like a top-notch dining scene with lots of fresh, local ingredients from the land and sea, exploring cultural attractions and embarking on jaw-dropping scenic drives. In these must-see regions, you can do all the above and then some. The southern region of Vancouver Island is home to the province’s capital, Victoria. One of the most picturesque cities in all of Canada, it has an English feel and a rich British history while boasting especially spectacular ocean and mountain vistas. 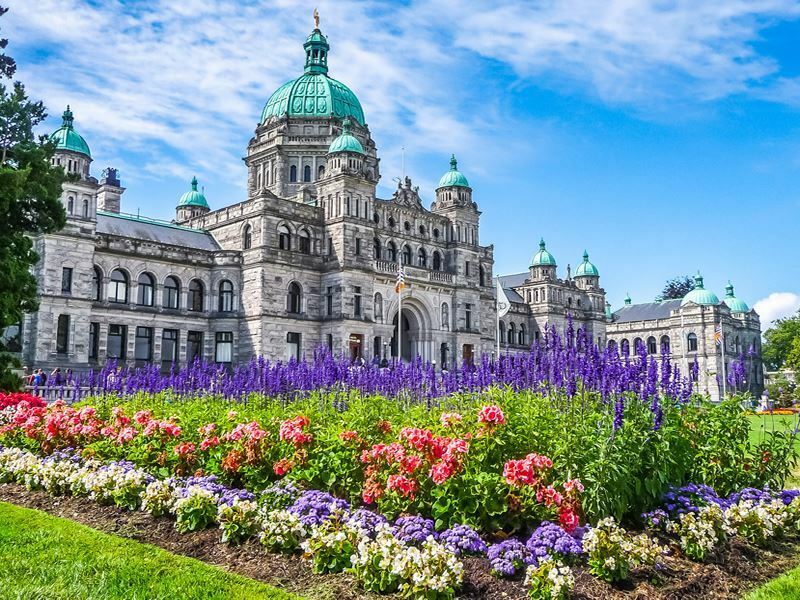 This international hub of culture and art is home to one of the nation’s best museums, the Royal BC Museum, B.C.’s only natural and human history museum. In the Natural History gallery, you’ll see the coastal and rainforest ecosystems of the province from the ice age through today, and a genuine frontier town in the Modern History gallery, with a total of some seen million artefacts and 750,000 specimens. Dine on fresh-off-the-boat seafood at the wharf, embark on a whale watching excursion, take a ride in a romantic horse-drawn carriage and sip afternoon tea in one of the many elegant tearooms. Butchart Gardens is a top draw, and the reason Victoria is called the ‘City of Gardens,’ a must-experience with 700 varieties of plants that can be seen blooming from March through October. The Rose Garden is a highlight with around 300 different species, peaking during the summer months. One of the best ways to see the highlights in the surrounding area is to take a drive on the Scenic Marine Route. The 180-mile-route features beautiful beaches and parks, ancient forests with massive trees, unique geological formations, waterfalls and more. Take time to stop at one of the steps leading to the sea, with numerous scenic viewpoints for capturing picture-perfect spots. Sooke Potholes Provincial Park, just a short drive west of Victoria, is home to unique rock formations that were formed millions of years ago during the last ice age, with a series of tranquil deep rock pools filled with cool, clear freshwater for swimming on a warm day. You can also explore it by taking a hike on one of the short trails that wind through the forest, but if you’re for more, head to the San Juan de Fuca Marine Trail. it follows the island’s coast, offering awe-inspiring views and the opportunity for spotting marine life like whales and sea lions as well as bald eagles that frequently soar the skies above or sit perched in the trees searching for a meal below. 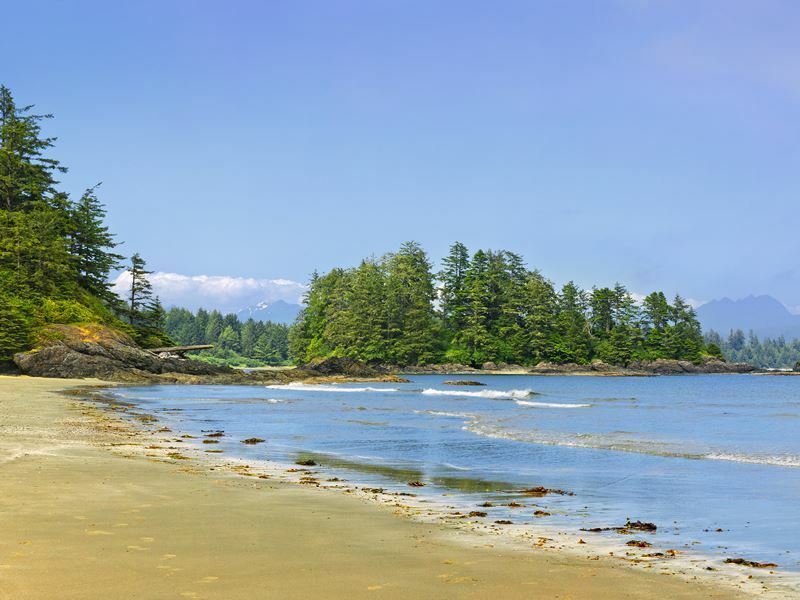 The west coast of Vancouver Island hosts one of Canada’s and the world’s most breathtaking national parks, Pacific Rim National Park, as well as the popular beach towns of Ucluelet and Tofino. In the park you’ll find three distinct units to visit, including the 47-mile West Coast Trail unit in its southernmost section, winding through spoiled rainforest; the Broken Group Islands that are popular for paddling among the nearly 14,000 acres of ocean park, and the northernmost section, the Long Beach unit. This core-protected area in the Clayoquot Sound, spans from Ucluelet to Tofino. One of its biggest allures is surfing and whale watching, with whales like humpbacks and orcas frequently spotted offshore all year-round. A paradise for wildlife and nature enthusiasts, there are not only many different whale species that can be viewed, but bald eagles, black tail deer, endangered leather turtles and black bear. In Tofino, take a stroll through Tofino Botanical Gardens, with songbirds and hummingbirds flittering about the colourful flowers and greenery, or join a Zodiac boat tour to search for the black bears that dine on the shellfish and crustaceans along the shoreline. The beaches in the area are flat, long and sandy, providing outstanding beachcombing and the chance to enjoy quiet contemplation surrounded by magnificent views. Afterwards, head to one of the many eateries that serve a bounty of fresh seafood, like grilled salmon paired with locally-made beer, including unique options like seaweed beer. Ucluelet offers quintessential rugged, wild beauty with opportunities for hiking, surfing and kayaking, as well as cruises and wildlife tours to view whales, bears and all sorts of other creatures. In town, shop for Murano glass, First Nations carvings, unique amber jewellery and more. Salmon pie is a popular and tasty item that’s frequently on the menu. One of the world’s best places for watching whales can be found on the waters of Johnstone Strait along the northeast coast of Vancouver Island. It hosts the largest concentration of killer whales on the planet, along with an abundance of other wildlife like black bears and bald eagles. You’ll have multiple options for marveling at the whales, from high-speed zodiacs that provide a more intimate trip to comfortable cruises and even week-long adventures. Kayak tours, which include paddling out to remote islands among these impressive mammals, is one of the most unforgettable experiences you can have. Everything from day trips to multi-day tours are offered via outfitters like Wildheart Adventures out of Telegraph Cove. The sounds of the waters that gently lap the shore and the occasional blow of the whales that pass nearby are wonderful for lulling campers to sleep. Knight Inlet, home to Knight Inlet Lodge offers the chance to view grizzly bears on a full board basis. There are scenic boat trips to see them from viewing platforms, bear viewing tours, and wildlife tracking for making plaster casts or animal prints, along with a variety of other wildlife watching opportunities that are all included. Great Bear Lodge, reached via seaplane flight from Port Hardy, is a low-impact wilderness retreat open to a maximum of just 16 guests. A self-contained floating lodge in the heart of the unspoiled Great Bear Rainforest, biologist guided tours bring guests to photograph the grizzlies during two separate sessions each day. The Cariboo Chilcotin Coast spans from the Pacific coast to the Cariboo Mountains, and is made up of fjords and forests, peaks and plains. Described as the ‘land without limits’ this is a true outdoor enthusiasts’ and nature lovers’ paradise, as well as offering the opportunity to delve into First Nations culture. While the region has a rugged frontier feel, it can easy be reached by car. 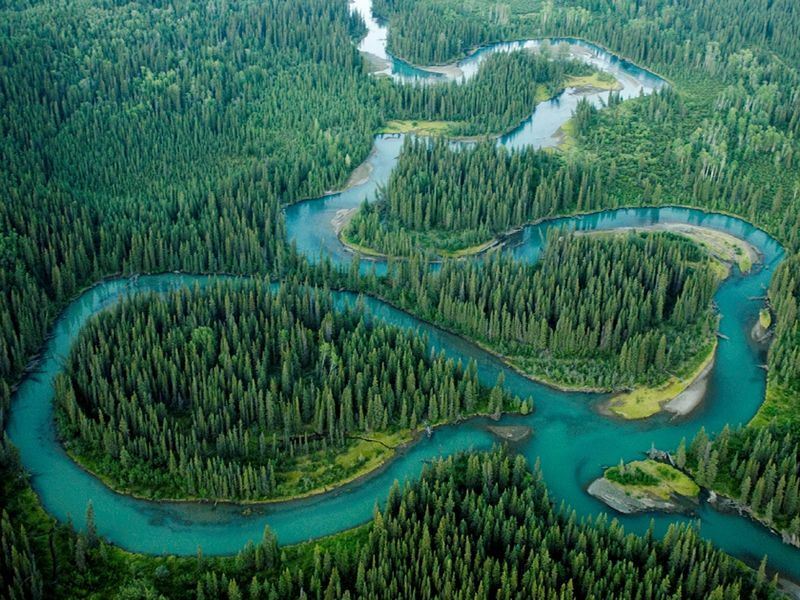 The three most popular areas to explore here are the Cariboo, Chilcotin and The Coast. The Cariboo features open plains that stretch in all directions, with wide rivers and a rich history to explore. Take part in all sorts of recreational activities between 100 Mile House and Quesnel, from hiking and mountain biking to rafting, fishing and even gold panning. 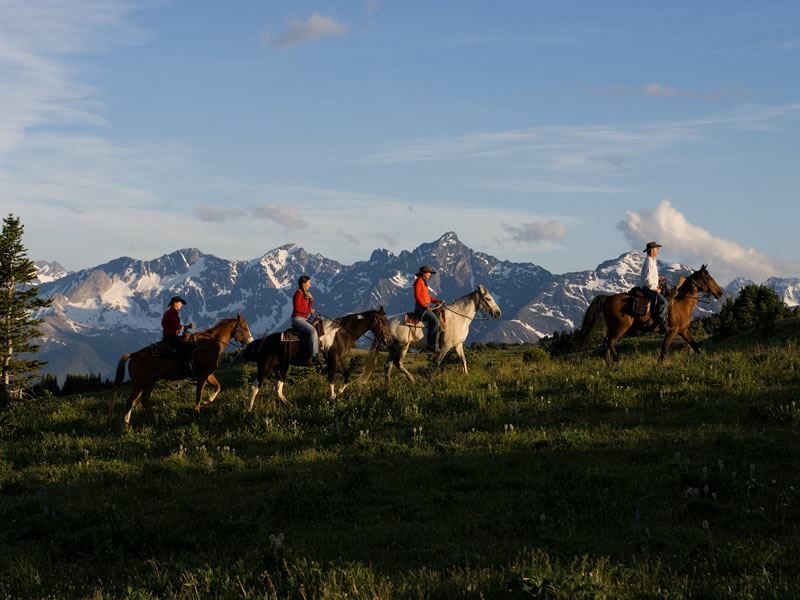 Horseback riding is a big part of the culture with lots of guest ranches offering a variety of opportunities for the more adventurous traveller. Paddle around Bowron Lakes Provincial Park with its extraordinary beauty and glistening waters, and explore the little village of Wells. Once a mining town, today it’s a charming arts community with streets lined with historic buildings. In nearby Barkerville, a gold rush town that was once the largest west of Chicago and north of San Francisco, you can step back in time to the gold rush era with colourful expert interpreters that will walk you through its history. Take part in activities like gold panning, stagecoach rides, theatrical performances and more. The Chilcotin is another idyllic playground for outdoor lovers, with its frontier spirit and lack of roads. You’ll find golden plateaus alongside the forest-covered Coast Mountain Range, as well as lakes, alpine rivers, glaciers and grasslands. 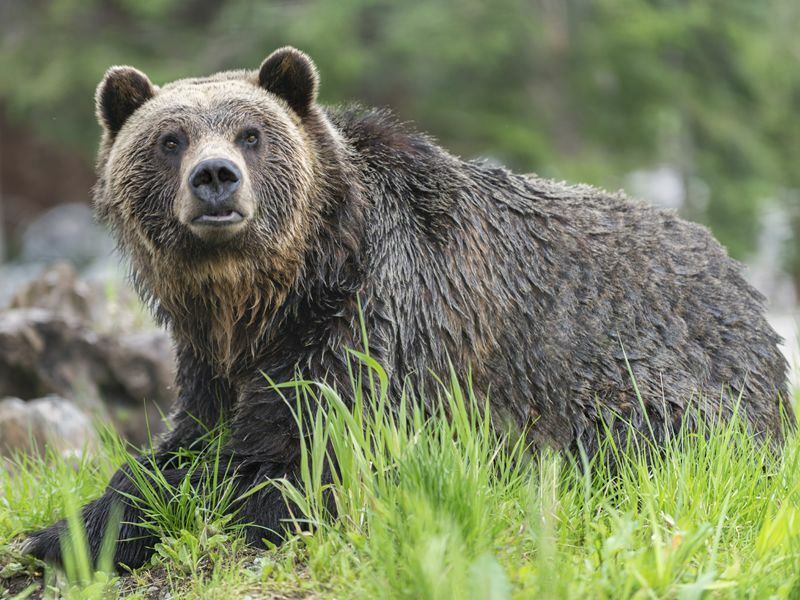 Try your luck at fishing in remote, isolated lakes, enjoy the thrill of whitewater rafting, or even grizzly bear viewing at Tweedsmuir Provincial Park. This is one of the best regions for wildlife watching, hiking and fishing among scenery that’s truly out-of-this-world. Along The Coast, which edges the Pacific Ocean on one side and the Coast Mountains on the other, wander through charming towns, walk pristine stretches of sand with thrashing surf, paddle mirror-like waters in a kayak or take a wildlife watching cruise to search for orca whales. Located in southeast British Columbia, the Kootenay Rockies are home to everything from icy rivers to steamy hot springs, and include both Kootenay and Yoho national parks. At the latter, you’ll be surrounded by soaring rock walls, endless waterfalls and rocky mountain peaks that rise high above the clouds. There are miles and miles of hiking trails, including plenty of easy, short treks like the one around Emerald Lake, surrounded by the President Mountain Range. Take the three-mile hike to Wapta Falls to view the park’s largest waterfall while listening to the rushing sounds of the Kicking Horse River along the way. The Continental Divide is located in Kootenay National Park, which also showcases the dramatic canyon walls of Marble Canyon, azure glacial waters and Radium Hot Springs. The soothing mineral-rich waters of the springs are ideal for relaxing after a hike, with thermal pools ranging from 98 to 104 degrees. Facilities here include a cool pool with slides and a diving board as well as an onsite spa. Choose from a menu of indulgent treatments, including multiple massage options, body wraps, facials and more. The spa also includes a hot spring hot tub and an aromatherapy steam room. There is no shortage when it comes to outdoor thrills in the Kootenay. Go zip lining over Kokanee Creek Canyon or play at the SkyTrek Adventure Park in Revelstoke which offers more heart-pounding zip lines, sky courses, a giant swing, kids’ games, and more, right in the heart of a magical old growth rainforest. 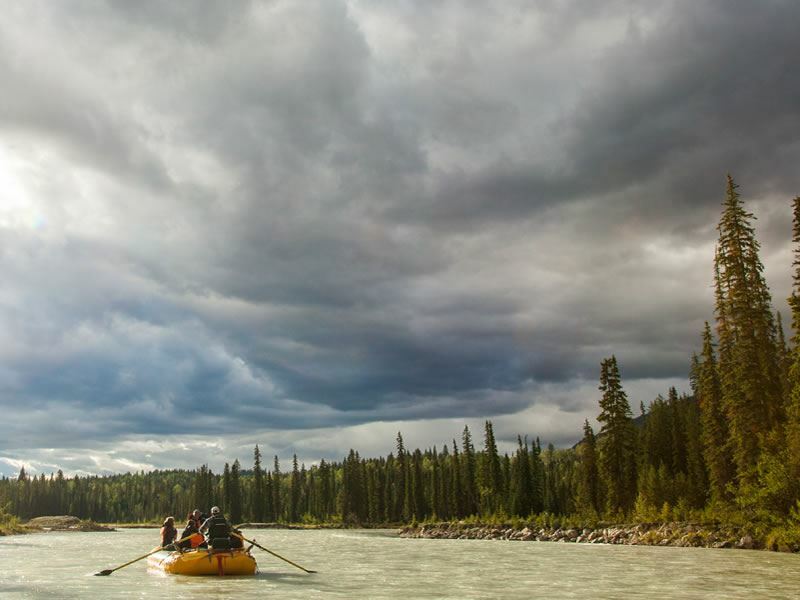 Paddling through the wilderness in a canoe, viewing grizzly bears in the world’s largest bear refuge, hooking trophy fish, and hiking or mountain biking the stunningly scenic trails, are just a few of the opportunities here. While British Columbia may be all about the Great Outdoors, Vancouver is one of Canada’s most exciting cities and truly a must to explore. Nestled between the Pacific Ocean and the Coast Mountains, it’s also one of the world’s most beautiful cities, home to a great diversity of landscapes from sandy beaches to dramatic mountains, along with practically endless shopping, dining and cultural attractions. Head to the Granville Island Public Market on Granville Island to fuel up with all sorts of mouthwatering eats that can be enjoyed alongside the water, including fresh seafood at Vancouver Fish Company, the “premier hook-to-plate” seafood destination. Take a walk around the 1,000-acre Stanley Park, a lush oasis in the heart of the city which features a 5-mile-long seawall that follows along the waterfront. You’ll be able to take in many of its highlights along with incredible views that include the Lions Gate Bridge, the downtown skyline and towering mountains in the backdrop. You’ll also find forested trails in the park’s interior, a heated outdoor swimming pool, and a teahouse for sipping tea while marveling at the expansive English Bay vistas. Visitors can also take a horse-drawn carriage ride, rent a bicycle to travel the paths on two wheels, or check out the Vancouver Aquarium, which showcases 70,000 animals, including dolphins, sharks and beluga whales. If it’s bigger thrills you’re looking for, less than 20 minutes from downtown is Grouse Mountain and Capilano Suspension Bridge Park. At the former, you’ll find ziplines as well as the Grouse Grind, a locally-famous, approximately 2-mile trail known as ‘Mother Nature’s Stairmaster.’ Once at the summit, panoramic vistas abound. Capilano Suspension Bridge Park is filled with vibrant greenery, giant trees and streams, though it’s best known for its hair-raising bridge. Dangling high above roaring Capilano River, crossing it is sure to get your heart pounding. The park also offers an adventure referred to as the Cliffwalk, a path following the edge of a canyon along a granite precipice, traversing through a series of stairs, bridges and platforms.